RUM / RON Appleton Estate Reserve Blend is a blended rum”, that is, a combination of different rums for style and maturity, and does not contain an indication of the years of aging. A selection of 20 rums aged for an average of 6 years (there is no indication of the years of aging on the bottle). Honey-coloured by the wealth of stunning, with sumptuous gold highlights. Full-bodied and soft, with notes of delicately balanced spices and dried fruit, followed by hints of oak and honey, subtle notes of vanilla and a touch of hazelnut, complemented by the rich aroma of the orange peel. Brings to mind the aromas of a sweet spicy to candied fruit. 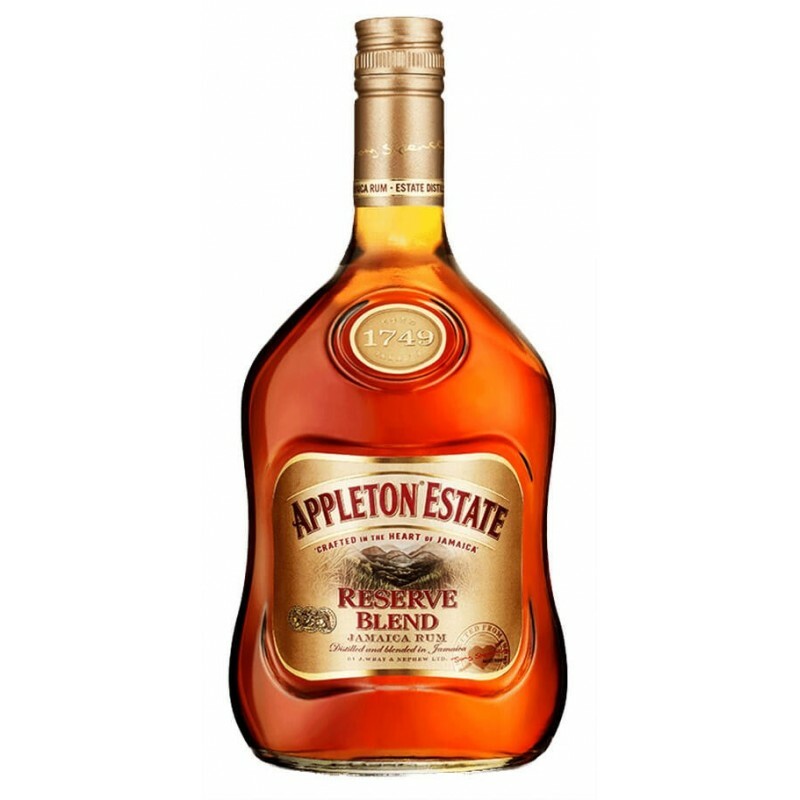 The Appleton Estate Reserve Blend is enriched by notes of oak, nutmeg and spices smoked. This aromatic blend contains 20 rum, including two rare coming from our reserves, which are occupied with the dedication, Joy and her team. These are rum rare and special to give to the Reserve Blend, the exquisite complexity that makes it absolutely versatile. Perfect for tasting or to transform it to drink ordinary cocktails extraordinary.